It shares borders with the Arab world and Africa. 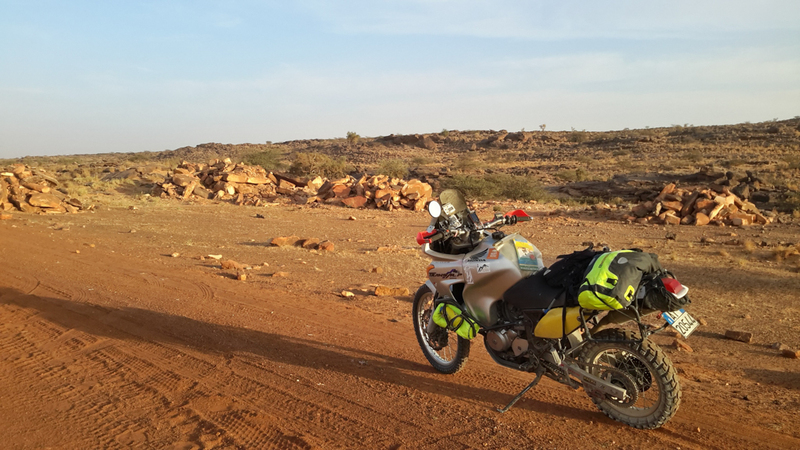 Its critical security conditions put it on the list of places to avoid ... but there are adventurous motorcyclists who cannot resist the call….. Like the Italian, Giorgio Polegato, who in Mauritania, travelled alone in the saddle of a Honda Transalp 650 and we were the ones dealing with his luggage. Every time I embark on a trip, I find myself having to answer the question: Why there? 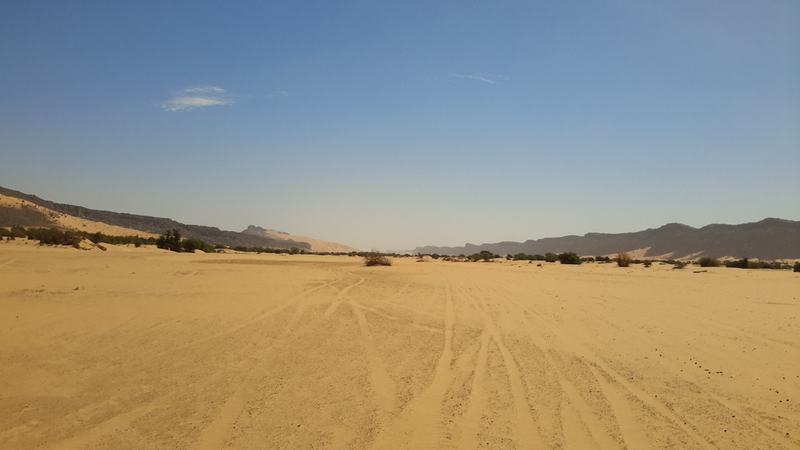 This time, the question was a little harder to answer, firstly because of the potentially dangerous location and secondly because I had to face the Sahara all alone, on sandy and off-road tracks aboard a fully loaded motorcycle and without the support of a satellite phone. Aware that if something went wrong, I would not have been here to retell the story. 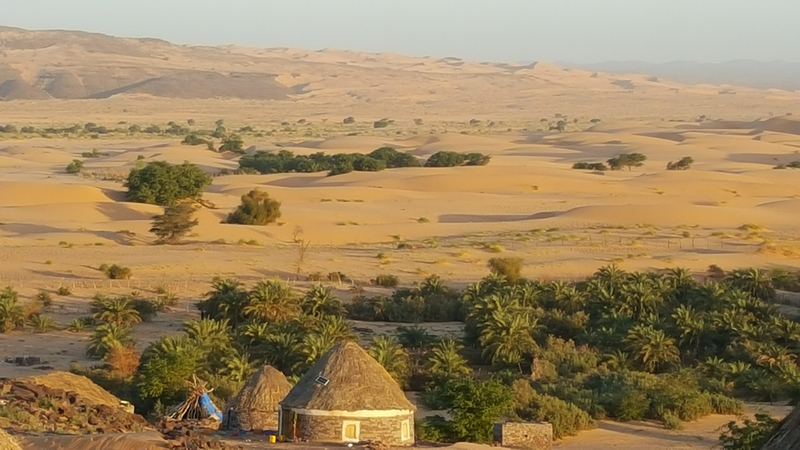 Mauritania is a great challenge for those who, like me, love the desert; In the “Mauro” desert, legendary pages have been written, linked to the most legendary rally in the world: the Paris – Dakar. Its soft sand, making it difficult to ride, was feared by many riders. 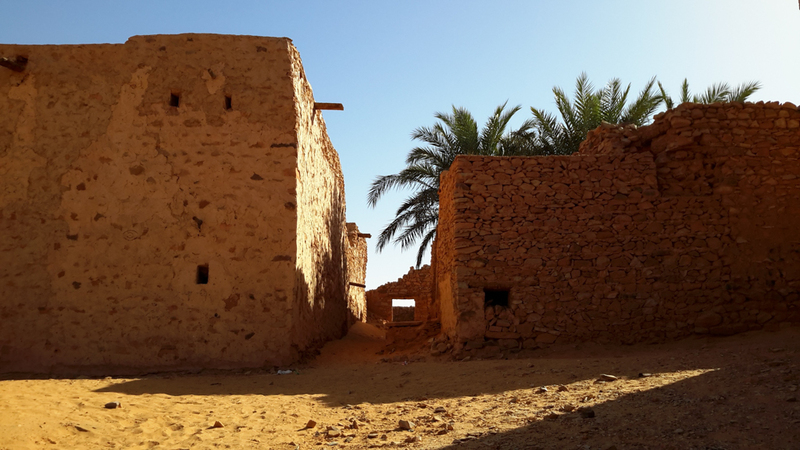 Mauritania is also home to one of the Sahara’s oldest libraries, set up in the village of Chinguetti, an ancient crossroads of caravans and camels. The “jewels” that this country has offer to visitors are countless. 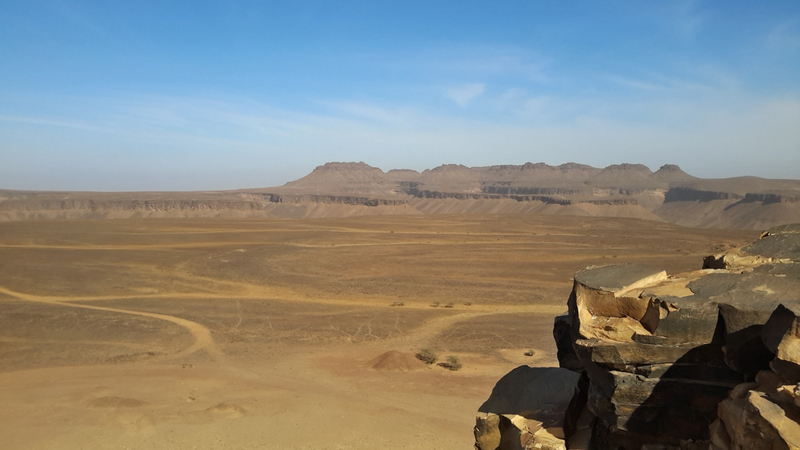 About 110km east of Chinguetti you reach Ouadane, another historic city in the desert, and later to the structure of Guelb el Richat, a crater of 40 km diameter which is also called the “African eye” and only accessible by off-road or 4×4 vehicles. 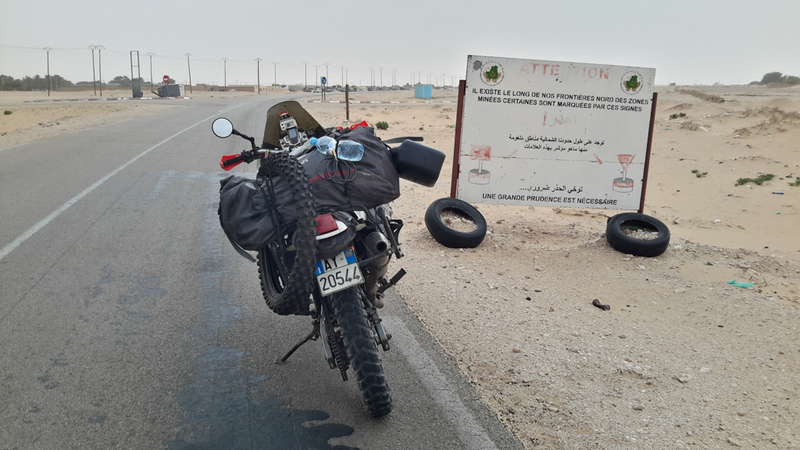 In the following days, I chose the slopes to the South and “oued” that lead to the oasis of El Barbera, where I fell flat in the sand many times … whilst also burning the clutch of my little Transalp 650. 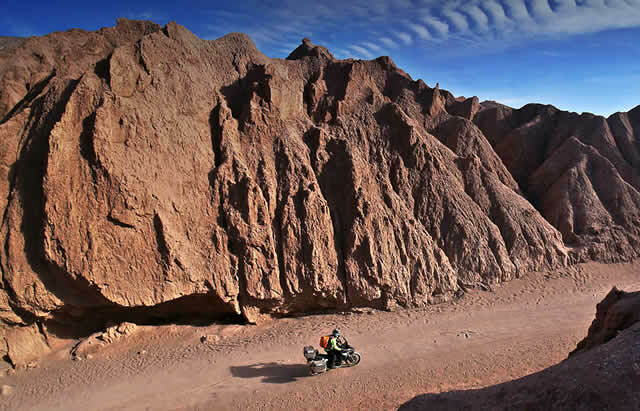 I have experienced very fine sand trails before, where you always have to push the gas to avoid getting stuck, for instance it happened on the Tifoujar Pass. Sometimes it would be stones getting in the way, and I’d have to cover challenging trails and rock-built roads like those that lead to the villages of El Meddah and Mhairet. 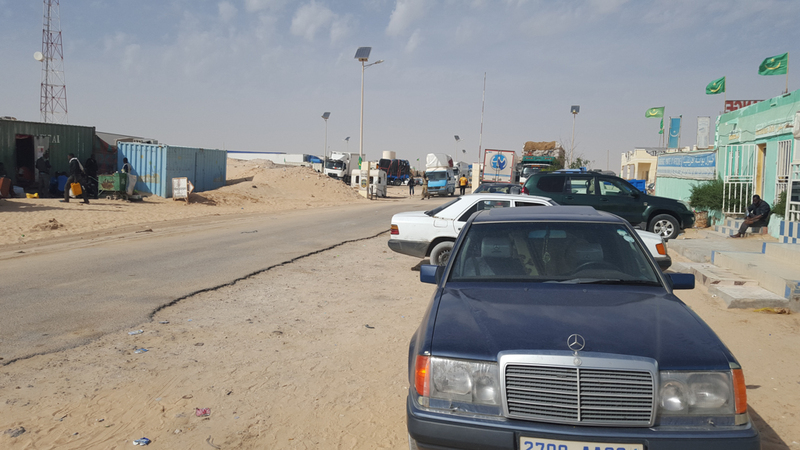 On the last day spent in Mauritania I took a gamble with the stretch from Atar to Nouadhibou, the railroad track: 500km in solitude, without refueling and far from any city. If any of you are thinking about doing it, remember to always stay South of the railroad as the North is the largest minefield in the world. Morocco was the country to initiate this, as a means to contain the guerrilla of the Saharawi people. That day I only met a 4×4 and 4 motorcycles and took very few pictures: the less you stop the better because the bike sinks in the sand and it is a struggle to start again. It happened to me three times, during which, almost in a compulsory way, I took no less than an hour to take out the luggage, dig into the sand, and struggle to avoid getting bogged down. The local guides indicate that the length of this long run can be covered in two days. I did it in 11 hours. A very high risk, which I would take and I take again … but maybe with a satellite phone in my bag! 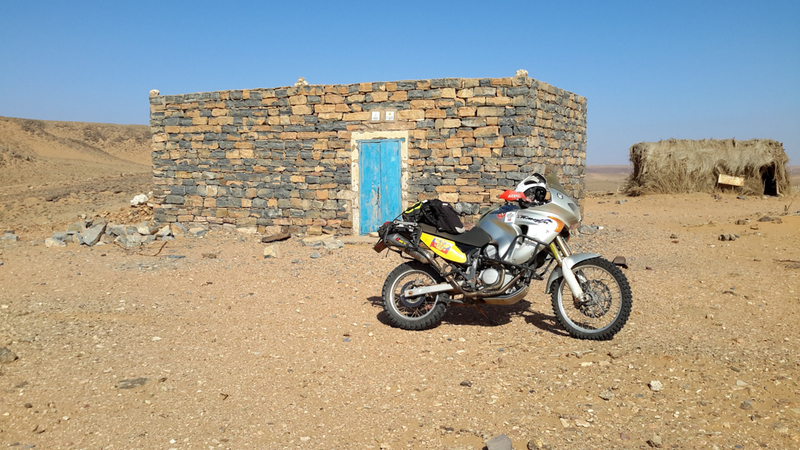 My travel on motrcycle by Mauritania ended with the classic icing on the cake: returning from Dakhla, I met the great Paolo Ceci at the African campfire Eco race. From the 23rd to 29th December 2016 – Ferry to Savona-Tangier; Transfer Tangier-frontier Mauritania. From 8th to 16th January 2017 – Transfer from Mauritania to the port of Tangier; Tangier-Genoa ferry. 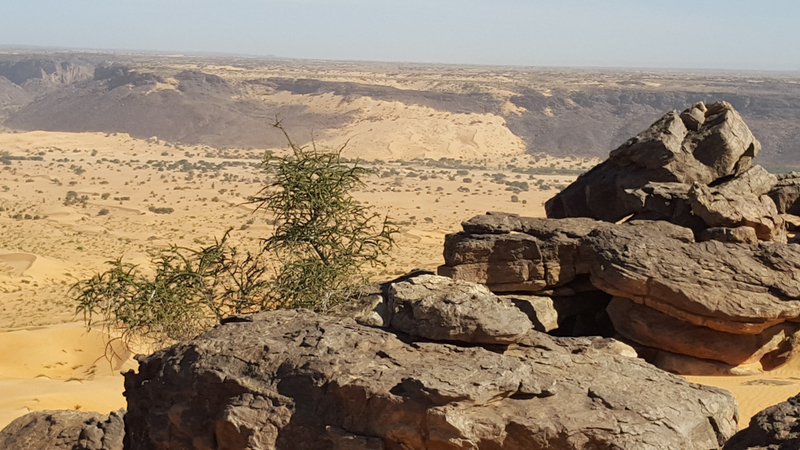 About 9,000, of which 6,000 (round trip) “spent” in the transfer between Morocco and Western Sahara and the rest in Mauritania, of which more than 2,000 mixed off-road, dirt roads, dunes, sandy and rocky stretches (those where the skid plate often touches). 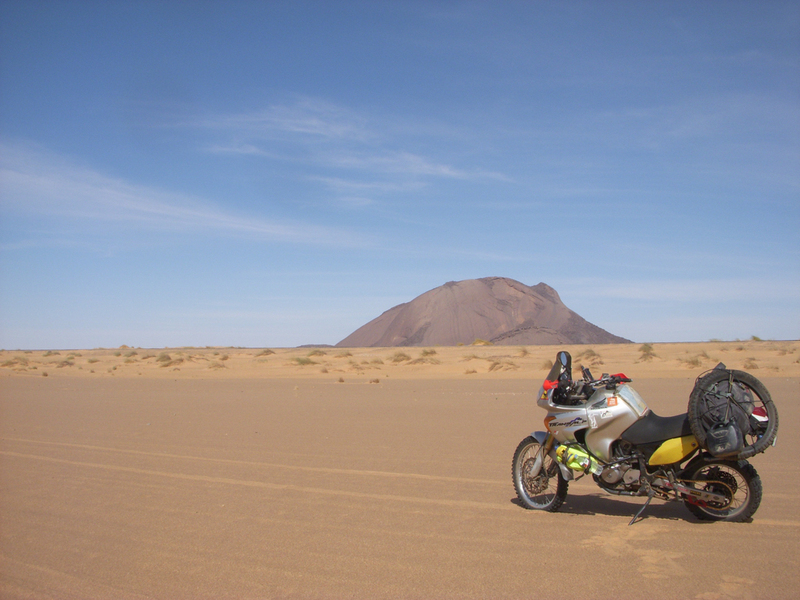 You need off-road tyres to change in Mauritania, so they don’t rip during the long transfer to Morocco and Western Sahara. I started with a new Heidenau k60 at the rear and a k60 used in Pamir and Central Asia. 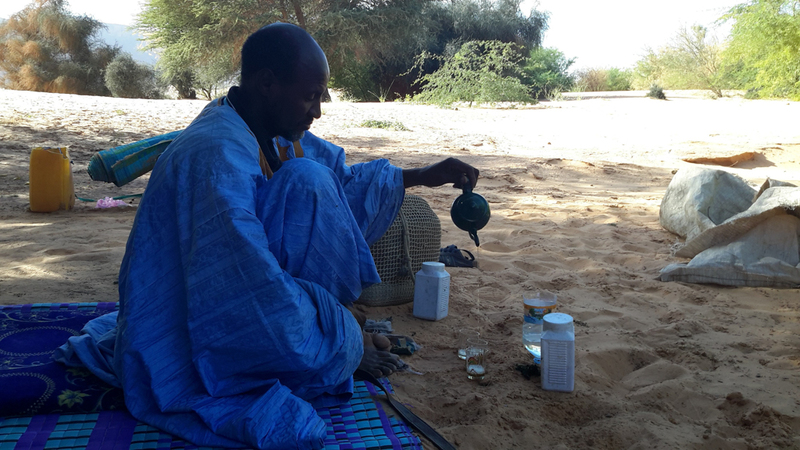 In Mauritania, I changed the front with a Michelin desert I took from home. Leave with multiple copies of the Civil Status, a document required at many military and Moroccan military checkpoints. Given the remarkable difficulty I had trying to find fuel, I recommend an increased tank. With 40 liters you can sometimes reach the limit. Aside from the burned clutch, I had the biggest problem at the Maura border, where it took me 13 hours to get the Visa (the internet connection stopped working and I needed it to produce the electronic document). Gas pump and filters if you have a carburetor motorcycle (the fuel is very often dirty). Giorgio Polegato is 26 years old and he is a workman. Since he was a child “our” traveler has been sensitive to the charm of adventurous motorcycles and explorations. 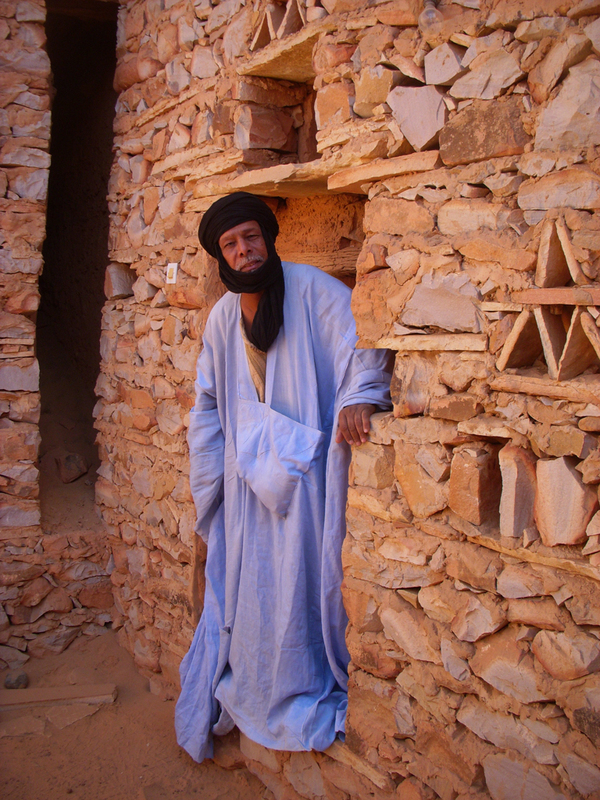 Mauritania marks his 10th trip. 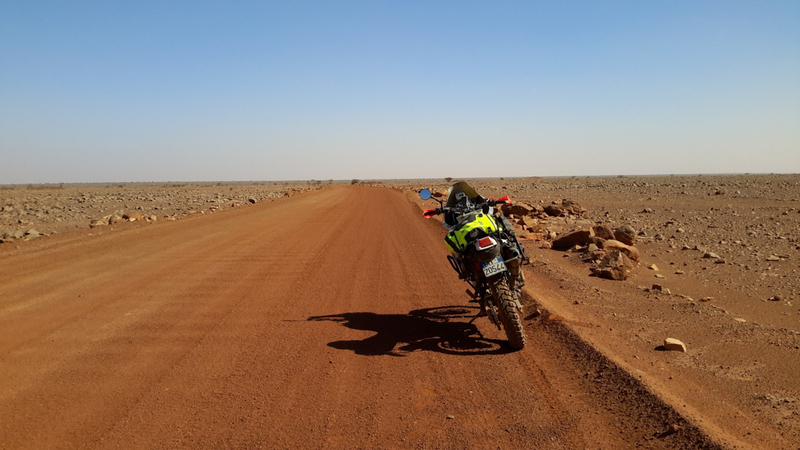 This is not the first African experience (Giorgio has already ridden twice through the Black Continent) but this represents his first solo and off-road experience without any means of traceability (satellite phone or GPS devices able to identify his position / location). When he was 20 years old Giorgio could only ride a motorcycle on cross-country fields and not on the road. Sometime later the Honda Transalp 650 arrived with a larger tank and it was soon to become his companion in future raids. The first test is pretty easy: Scotland, England and Wales. The following year was the time for Iceland and then Finland, Sweden and Norway, with the inevitable turning point in North Cape. With expanding horizons Europe becomes narrow. That’s when Giorgio continued with trips to Russia, Kasakhstan, Uzbekistan, Tajikistan and the Wakhan corridor, crossing Afghanistan to finish his trip to Kyrgyzstan. 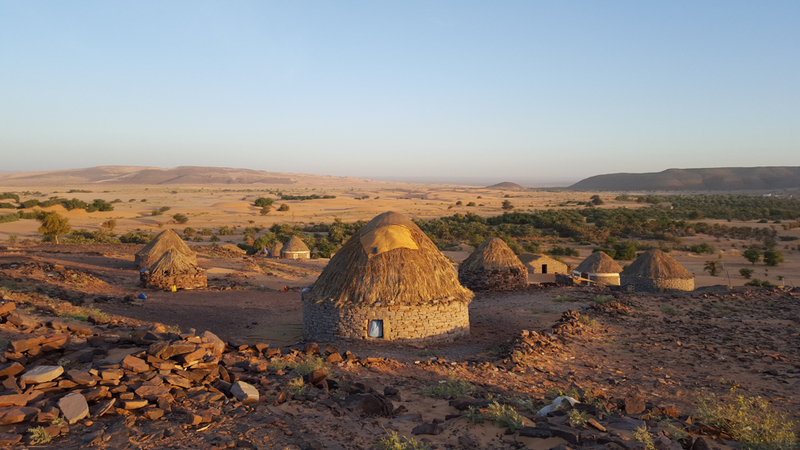 The desire for adventure is still growing and Africa becomes a fixation. 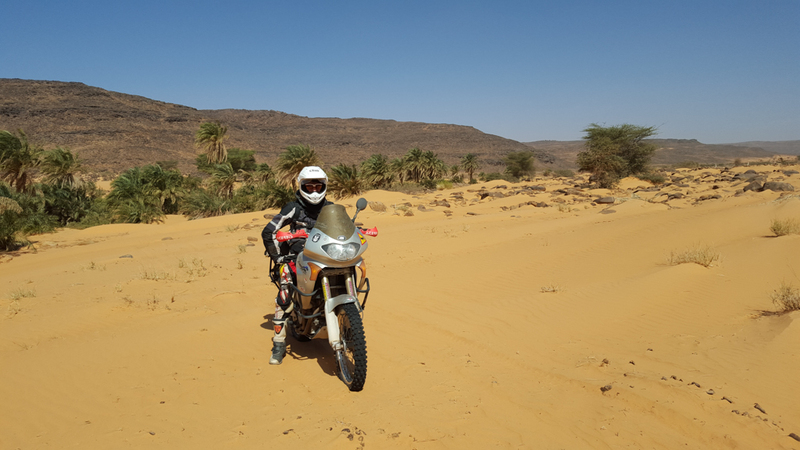 Giorgio has already been to Morocco: so his thoughts go to Mauritania, the land on which many pages of the Paris-Dakar have been written. Like any respectable rider, Giorgio has already planned his next adventure. Summer 2017 will take him to South Africa, Zimbabwe, Botswana and Namibia … “I would also like to go back to the Sahara – adds Giorgio – where I left a part of me.” The African allure has claimed another victim. In a journey such as this, you should give priority to the transport of spare parts and tools (see previous list), leaving behind all that is normally chosen to improve comfort or to hold helmets, jackets, etc. The need for weight reduction, due to the ground of the Mauro desert, prevailed over other possible choices. That’s why Giorgio chose to take only the 80 ltr WP bag (thoroughly tested on previous trips), attached to the rear saddle: Inside, it contained a second 30 litre GIVI soft bag that can be converted into a backpack and which contained Giorgio’s personal belongings (shoes, beauty-cases, clothes, etc.). If necessary we would recommend a tank bag, to distribute some of the weight and it is also a versatile accessory. The GIVI catalogue is full of ideas. For example……the 2.5 litre (TAN01) jerry can (for water or fuel) or the E163 universal support for carrying a 5 or 10 litre metal can on the side luggage holders and the GIVI kit allowing you to extend the surface area of the bike side stand.